Richard Crowson: Wichita's the Top Flag! We’ve heard about the state of the union, the state of the state and the state of the city. It’s time we had an update on the state of the city flag. My fellow Wichitanians, it gives me great pleasure to report to you that the state of the city flag is beautiful! I know what you’re thinking. You’re thinking, WTF, which stands, of course, for “What, the flag?? !” Yes, Wichitanians, our fair city does indeed have a flag. And it is a doozy. It is, in fact, one of the best in the nation, maybe the world. Vexillologists (that’s a fancy name for flag buffs) say Wichita’s flag consistently scores among the top in flag-choice surveys. Yet many of us don’t even know it exists. But exist it has, for some 77 years now. It all started back in 1937 when Wichita mayor T. Walker Weaver held a contest for a city flag design. More than 100 entries were submitted. The best, I am guessing by far, was the one by local artist Cecil McAlister, which won the contest. It’s based on the Native-American symbol for home. There’s a small white circle with rays radiating out in four directions, all situated on a larger blue “sun” circle representing happiness. From this, large red and white rays project out, representing courage and honor. No words, no tacky state emblems. Beats our state flag all to heck. Sort of the way our local government is superior to our state government, but don’t get me started. 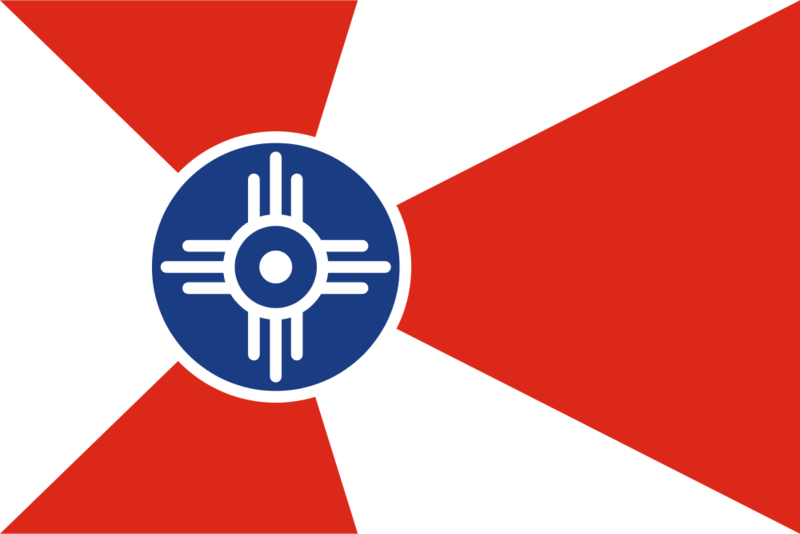 Our Wichita flag is a thing of beauty. Next time someone insults Wichita, as we all know they love to do, look them in the eye and say, “WTF,” meaning "Wichita’s the top flag!"